Words & photos by Scott Parent. Wiarton ice is in! Wouldn’t that be nice to hear every winter? 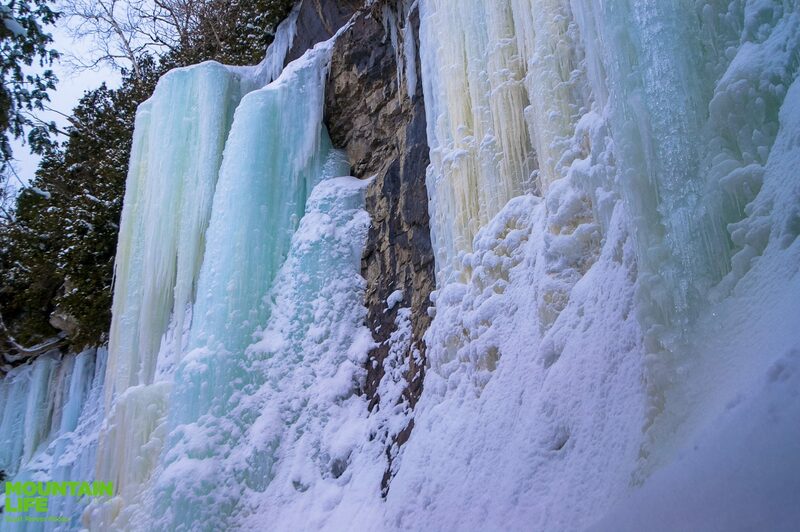 It’s been three years since the ice curtain in Wiarton’s harbour has matured into climb-worthy waterfall ice. This ol’ fashioned Canadian winter, laced with polar vortexes, has provided the temperatures needed to shape the wall. 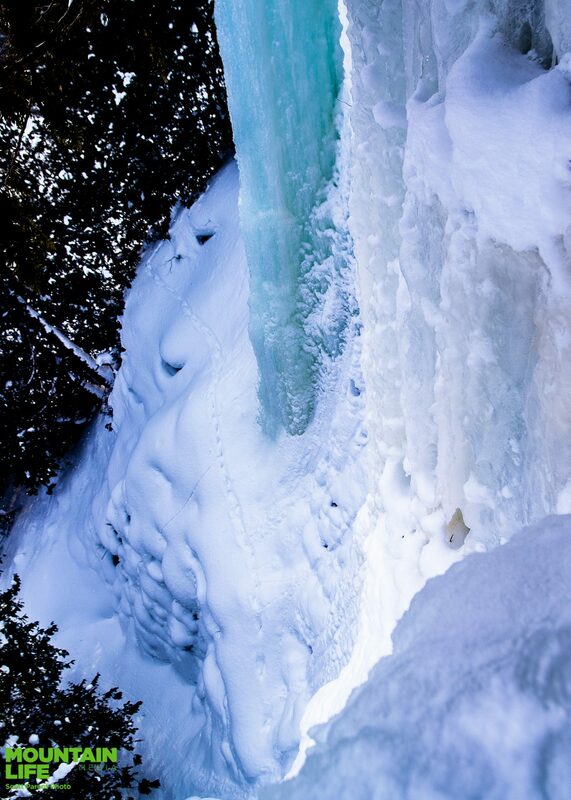 The Wiarton ice curtain has the full spectrum of solid ice to slushy wafer ice. 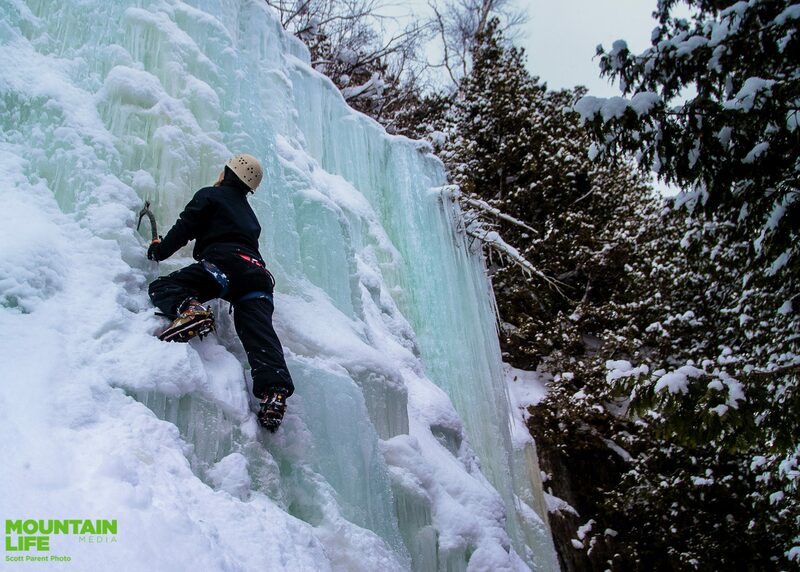 We don’t recommend ice climbing without a certified guide and the full gamut of safety equipment. 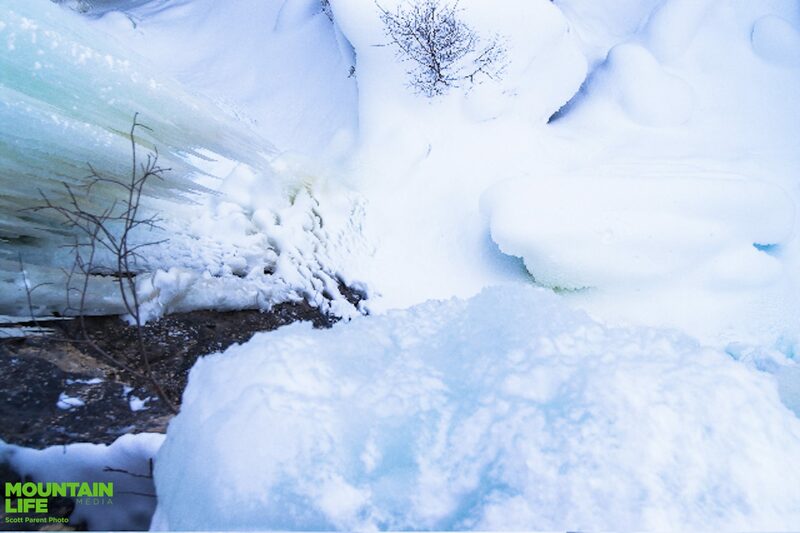 You can access the top of the climbs from the right side of the curtain, or by climbing any of the low-angle ice gullies, placing screws, but beware of weak ice at the top-outs. Happy hooking!